We’ve been doing a lot of user-engagement with various stakeholders in AAC recently and a couple of things got highlighted that we’ve been worrying about for a while. These included many people who would benefit from AAC being outside the ‘AAC community’, and a general lack of AAC information in the public eye. We’d like to see what we can do about this. We’d like to help empower users to demonstrate use of AAC before seeking formal assessment and funding: particularly those people who are unable to immediately assess the Hub and spoke model of AAC or don’t have access to a local SLT service. In particular, we’d like to support those people whose hub/local service do not have a budget or are awaiting funding arrangements. We think we’ve come up with a way that will also allow us to improve the awareness of the potential for AAC amongst the public. We’re purchasing 8 Kindle Fires, that we’re loading with Cough Drop and CommuniKate as a starting pageset. We plan on giving them away to anyone they will make a difference to. 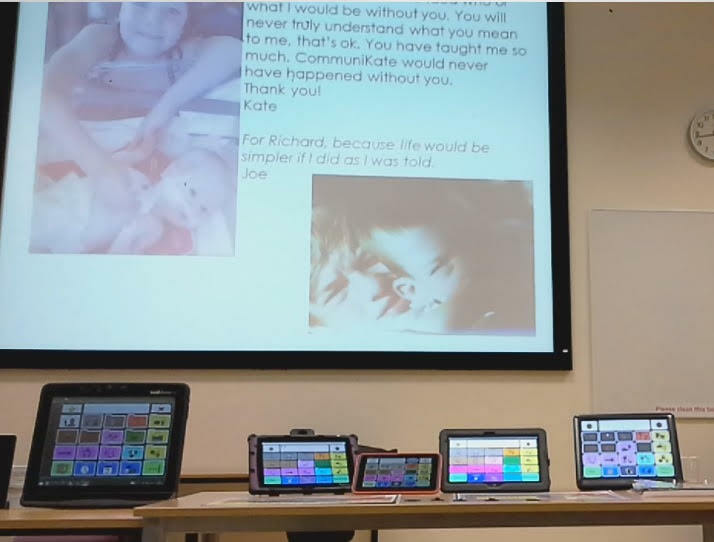 This could be users whose AAC devices are broken, it could be potential users who just need a machine to experiment with for a month or two, or it could be services and centres that need a tablet to be able to lend out. We should mention – one of the things that we want to achieve is a greater awareness of AAC in general so we’re hoping that some users would give consent for a photo to appear in, say, a local paper. If you know someone and think that a tablet with CoughDrop and CommuniKate would improve their life, then please let us know – we’ll gather up the entries and in a little while we’ll pick out ones that we think would benefit most. This is being funded by the Awesome Foundation and London Catalyst, who are both wonderful funders. It does also mean that we’ll be looking particularly at people within London for the majority of the devices. If you are interested, let us know at admin@equalitytime.co.uk.